Hiding in dark, warm and moist areas of homes; silver-gray, scaly, torpedo-shaped silverfish Lepisma saccharina Linnaeus of the primitive insect order Thysanura scurry away in a side-to-side wiggling motion much like their namesake – fish – when caught by surprise or suddenly exposed to light. An unsightly nuisance, silverfish, also known as bristletails or fish moths, can cause significant damage to paper products, clothing, some foods and other articles. Implementing simple preventive measures, setting out natural, eco-friendly repellents and using non-toxic extermination methods can help you get rid of these elusive critters for good. 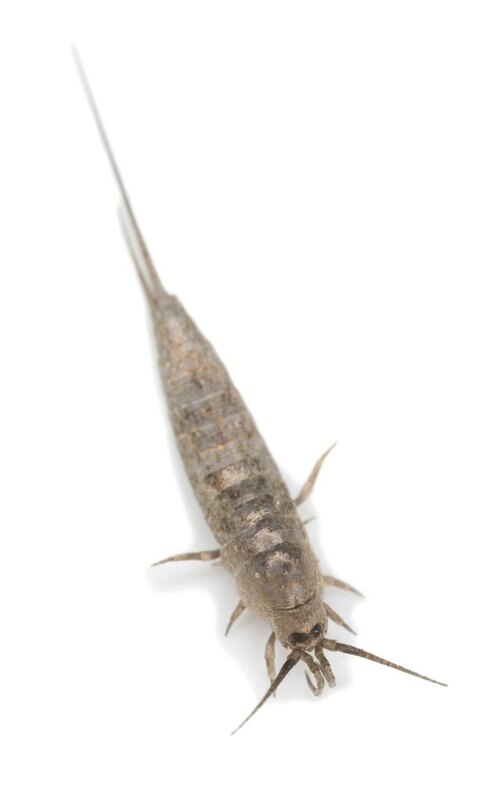 With its creepy-crawly appearance and habit of eating books and other household items, silverfish are unwelcome visitors, but you can get rid of them without the use of traditional pesticides. Silverfish enter the home through miniscule cracks and crevices in the walls, floors and foundation. Seal as many of these entry points as possible with caulk, steel wool or sheet metal. 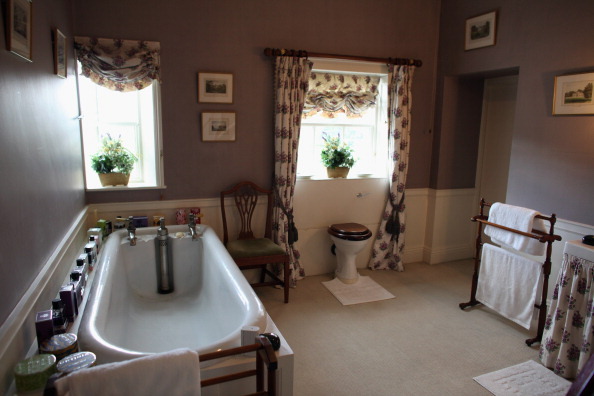 Reduce hiding places by de-cluttering – discard stacks of old newspapers and magazines. Remove food particles, dust and debris with regular vacuuming, sweeping and dusting. Make your home inhospitable to silverfish with natural, earth-friendly repellents that offend their olfactory senses, driving them to seek shelter elsewhere. Take care to place repellents in areas that are inaccessible to children and pets. **Whole cloves** or **crushed dried lavender, rosemary, mint, sage or bay leaves** work wonders to repel silverfish and other insects. Scoop the herbs into squares of cheesecloth, tie into little bundles and tuck into bookshelves, closets and other nooks and crannies silverfish may be hiding. **Lavender essential oil** is a potent deterrent to silverfish. Fill a spray bottle with water, add about 10-to-15 drops of oil and fan spray the inside of the bathroom vanity, baseboards, outside surfaces of appliances and dark corners. You may also spritz the air in bathrooms and basements. Place **mothballs** into crawl spaces, attics and other enclosed areas to repel silverfish, other insects and rodents. Sprinkle loose **cedar shavings** or sachets in potential hiding spots such as linen closets and behind appliances and furnishings. For those who eschew chemical pesticides, non-toxic physical methods of extermination such as diatomaceous earth, table salt and boric acid are all viable options for insects who have exoskeletons, or a hard exterior shell, armor or scales like silverfish do. Each product works in the same way by penetrating the tough exoskeleton and drying out, or dessicating, the insect inside. 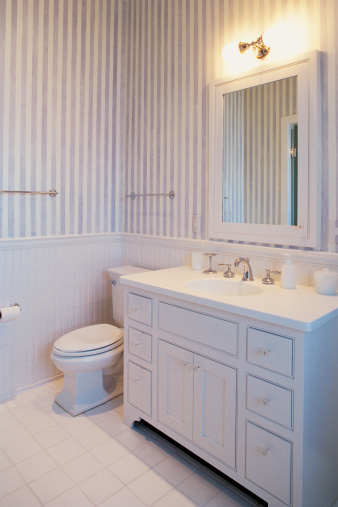 After cleaning, disinfecting and thoroughly drying drawers, cabinets and other areas where you have found the shed exoskeletons of silverfish or seen them actively moving about, sprinkle diatomaceous earth, boric acid or salt onto the surface areas and spread it around with a paper towel to coat as much of the area as possible. Food-grade **Diatomaceous Earth** is a powder composed of the fossilized remains of marine phytoplankton. **Boric acid** was historically used as a cleaning agent. **Ionized salt** is readily available table salt.